Whether booking online or over the phone, having your credit card ready is important because it will be required at a certain point during your booking transaction. When booking for any hotel, there is a minimum age allowance for the person that is booking and checking in. Here at Landmark Resort the minimum age is 21. You must bring a valid identification card to show at the front desk. There are a few options for the payment process for your stay. You must pay for the first night's rate and taxes/fees while booking the reservation. Then, if you decide to pay the remainder of your reservation prior to arrival, a $100 refundable security deposit will be required on the day you check in. Also, the taxes and fees are not included in the room rates but will be included in your total when you book. There is a limited amount of people allowed in each room. In order to process your reservation accurately, be sure to include the number of children and adults planning to stay in the reserved room when you are booking. Plan to leave your furry friends at home or make plans for them to stay somewhere. Our resort is not equipped for pets but there are many great local Myrtle Beach boarding facilities that offer excellent options. Landmark gives two free parking passes per unit to guests. There is limited parking for large vehicles and trailers. Be sure to call before you arrive so that Landmark's attendants can verify that there is a spot available for any large vehicles. There might be a specific room you are requesting to have, such as handicap or smoking rooms. There are rooms to accommodate these preferences, and be sure to mention your desire for such upon booking. Requests cannot be guaranteed but we do our best to honor them. There are discounts to be had on breakfast at the resort if you pay in advance so be sure to ask about this when booking with Landmark. When you do check in, the VMB Card is something you will get from the front desk; it can be your money saving friend during your stay in Myrtle Beach. 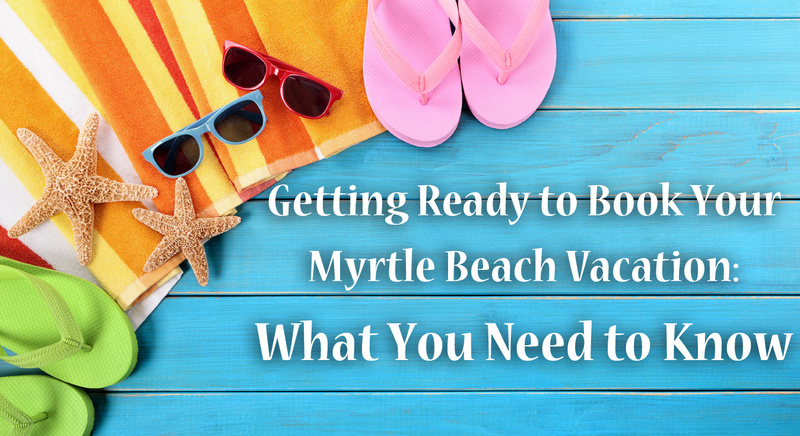 With this abundance of knowledge, you are now ready to book your Myrtle Beach vacation! Click here or give us a call!